The funnyman has expanded his brood and is now dad to two little girls. 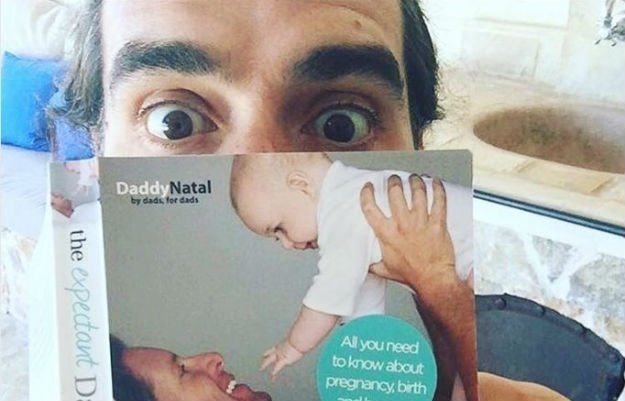 Russell Brand and wife Laura Gallacher have just welcomed their second baby girl. No word yet on a name, or what parenting style the two will adopt for raising daughter nr. 2. The comedian has been criticised as he initially toyed with the idea of raising his first daughter, Mabel, as gender-neutral but he now refers to her as his "daughter". Are you raising your child gender-neutral? Tell us by emailing to chatback@parent24.com and we could publish your letter. Do let us know if you'd like to stay anonymous. Also see: Russell Brand: "We'll raise Mabel gender neutral"
"We don’t know the gender and I may not even ever impose a gender upon it, let the child grow up and be whatever the hell it is, never tell it there is such a concept," he said to talk show host Jonathan Ross back in 2016. The celeb dad keeps the details of his family life private but hasn't held back on how life as a father has changed him. "You have to evolve... it's quite an abrupt and sudden change. One minute you don't have a baby and then suddenly there's a new relative... not a minor relative like an uncle, a full person who's dependent on you," he told ITV presenters. "That switches on something in you as a man... When I first saw my daughter I felt like some latent part of myself got switched on in that moment... fathomless love that I'd previously speculated upon but had no access to." We're sure the comedian's new addition will be mentioned in his next comedy show but until then, here's Russell describing (in poetic detail) what the birth of his first daughter was like.